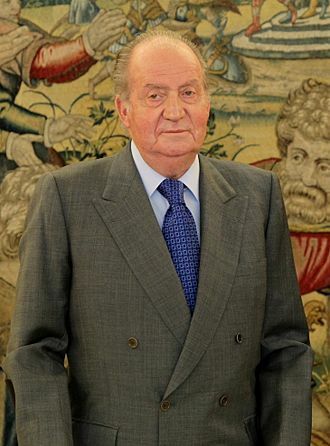 Infante Alfonso of Spain (Don Alfonso Cristino Teresa Ángelo Francisco de Asís y Todos los Santos de Borbón y Borbón Dos-Sicilias; 3 October 1941 – 29 March 1956) was the younger brother of King Juan Carlos of Spain. Alfonso was born in Rome, the youngest son of the Infante Juan of Spain, Count of Barcelona and of his wife, Princess Maria Mercedes of Bourbon-Two Sicilies. 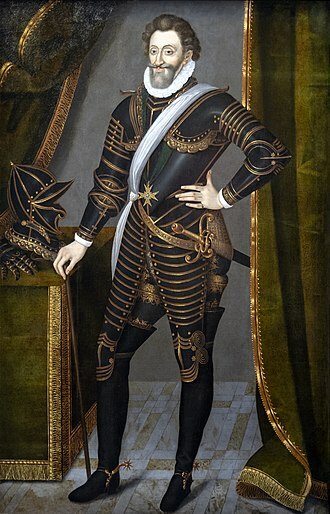 His godfather was the Infante Alfonso de Orleans y Borbón; his godmother was his father's sister Infanta Maria Cristina of Spain. Within his own family he was called Alfonsito to distinguish him from other family members with the name Alfonso. When Alfonso was still just a baby, his family moved to Lausanne in Switzerland where they lived in the Villa Les Rocailles. In February 1946 the family moved to the Portuguese Riviera. 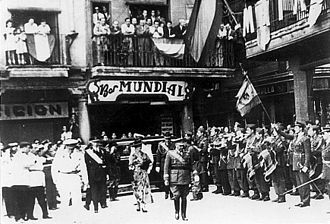 In 1947 Alfonso visited Spain for the first time at the invitation of caudillo Francisco Franco. 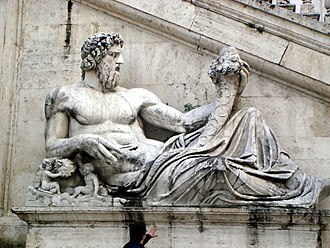 In 1950 he and his brother Juan Carlos were sent to study in Spain. 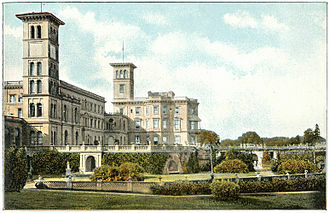 At first they lived in San Sebastián where a private school had been established in the Miramar Palace. In June 1954 they were received by General Franco at the Pardo Palace. 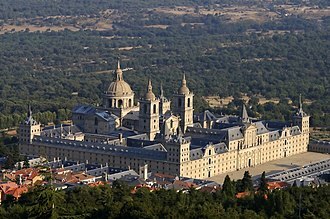 Later Alfonso and Juan Carlos attended the military academy in Zaragoza. 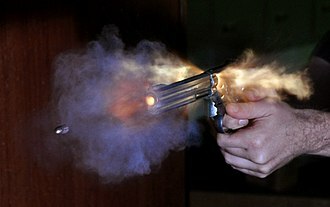 Whilst His Highness the Infante Alfonso was cleaning a revolver last evening with his brother, a shot was fired hitting his forehead and killing him in a few minutes. 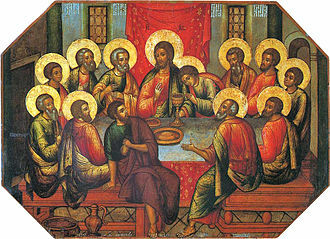 The accident took place at 20.30 hours, after the Infante's return from the Maundy Thursday religious service, during which he had received Holy Communion. Alfonso had won a local junior golf tournament earlier on the day, then went to evening Mass and rushed up to the room to see Juan Carlos who had come home for the Easter holidays from military school. It is alleged that Juan Carlos began playing with a .22 caliber revolver that had apparently been given to Alfonso by General Franco. 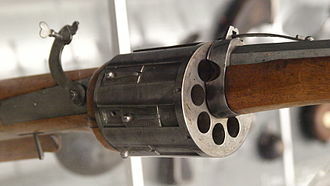 Rumors appeared in newspapers that the .22 caliber revolver had actually been held by Juan Carlos at the moment the shot was fired. As they were the only two in the room, it is unclear how Alfonso was shot but according to Josefina Carolo, dressmaker to Juan Carlos's mother, Juan Carlos pointed the pistol at Alfonso and pulled the trigger, unaware that the pistol was loaded. Bernardo Arnoso, a Portuguese friend of Juan Carlos, also said that Juan Carlos fired the pistol not knowing that it was loaded, and adding that the bullet ricocheted off a wall hitting Alfonso in the face. Helena Matheopoulos, a Greek author who spoke with Juan Carlos's sister Pilar, said that Alfonso had been out of the room and when he returned and pushed the door open, the door knocked Juan Carlos in the arm causing him to fire the pistol. It is alleged that Infante Juan, Count of Barcelona, the children's father, had thrown the gun into the sea sometime after Alfonso's death. The funeral liturgy for Alfonso was held on Holy Saturday and was presided by Monsignor Fernando Cento, Apostolic Nuncio to Portugal. He was buried at the municipal cemetery in Cascais, Portugal. 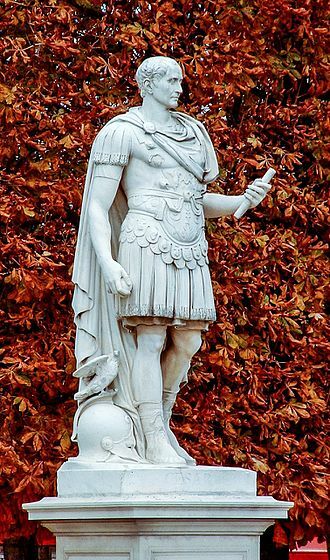 In October 1992 he was re-buried in the Pantheon of the Princes of El Escorial near Madrid. 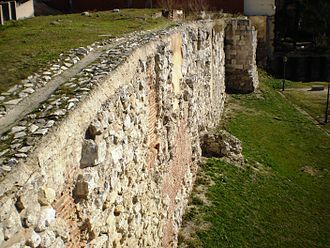 ^ José María Zavala, Dos infantes y un destino (Barcelona: Planez & Janés, 1998), 101. ^ "Spanish Pretender's Sons", The Times ( 2 October 1950): 3. "General Franco and Don Juan", The Times ( 3 October 1950): 5. ^ "Prince to Return to Spain Tuesday", The New York Times ( 16 January 1955): 25. ^ "Royal Foibles". Retrieved 2014-06-05. ^ "Juan Carlos lays to rest a haunting Spanish tragedy". Retrieved 2014-06-05. ^ A Royal Mystery at Snopes.com. 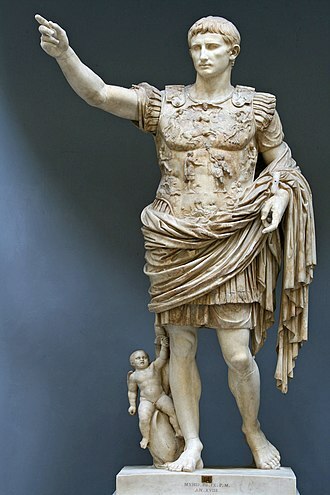 Zavala, José M. Dos infantes y un destino. Barcelona: Plaza & Janés, 1998. ISBN 84-01-55006-8. "Son Born to Spanish Pretender". The New York Times ( 4 October 1941): 17. 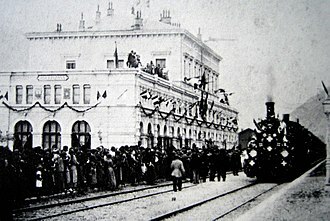 "Funeral of Infante Don Alfonso". The Times ( 2 April 1956): 8. "Don Juan's Son Is Killed in Spanish Gun Accident". The New York Times ( 30 March 1956): 3. Mikkelson, Barbara. "A Royal Mystery". Julie Therese Salomea Hauke was born in Warsaw, ruled in personal union by the Tsar of Imperial Russia. She was the daughter of John Maurice Hauke, a German soldier, julie was rumored to be of Jewish descent. Julias father had fought in Napoleons Polish Legions in Austria, Italy and the Peninsular War. 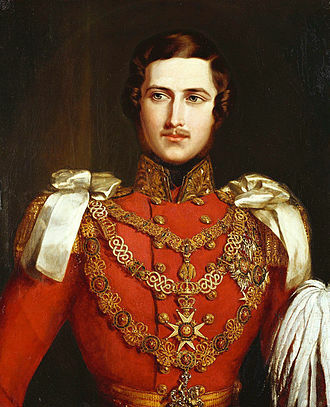 In the November Uprising of 1830 led by rebelling army cadets, Grand Duke Constantine, Polands de facto viceroy, managed to escape and her mother died of shock shortly afterwards, and their children were made wards of the Tsar. Julia served as lady-in-waiting to Tsesarevna Marie Alexandrovna, wife of the future Tsar Alexander II and sister of Prince Alexander of Hesse and she met Prince Alexander while performing her duties at court in St. Petersburg. 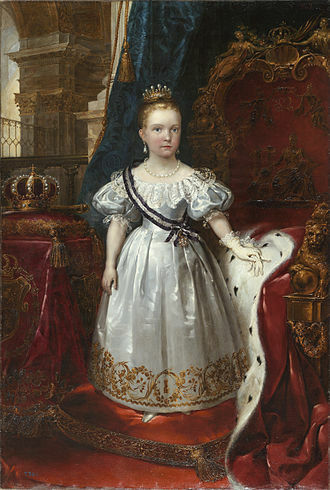 The Tsar did not approve of any liaison between his sons brother-in-law and a parvenu, and so the two arranged to leave the St. Petersburg court, by the time Julia and Alexander were able to marry, she was six months pregnant with their first child, Marie. They were married on 28 October 1851 in Breslau in Prussian Silesia, Julia was considered to be of insufficient rank to have any of her children qualify for the succession to the throne of Hesse and by Rhine, hence the marriage was considered morganatic. 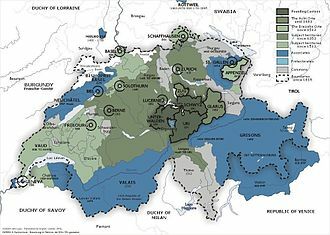 The children of Julia and Alexander were elevated to princes and princesses, Battenberg became the name of a morganatic branch of the Grand Ducal Family of Hesse. Julia converted from Roman Catholicism to Lutheranism on 12 May 1875 and she died at Heiligenberg Castle, near Jugenheim, aged sixty-nine, on 19 September 1895. 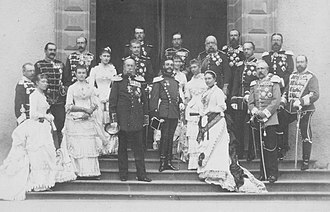 There were five children of the marriage, all princes and princesses of Battenberg, married in 1871 Gustav, Count of Erbach-Schönberg, created first Marquess of Milford Haven in 1917, married in 1884 Princess Victoria of Hesse and by Rhine, with issue. In 1917, he and his children gave up their German titles, created Reigning Prince of Bulgaria in 1879, abdicated in Bulgaria and created Count of Hartenau, married morganatically in 1889 Johanna Loisinger, with issue. Cascais is a coastal town and a municipality in Portugal,30 kilometres west of Lisbon. 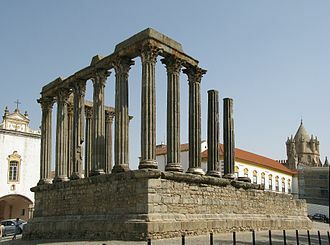 It is a suburb of the Portuguese capital and one of the richest municipalities in Portugal. The population in 2011 was 206,479, in an area of 97.40 square kilometres, the former fishing village gained fame as a resort for Portugals royal family in the late 19th century and early 20th century. Nowadays, it is a vacation spot for both Portuguese and foreign tourists. It is located on the Estoril Coast, in the Greater Lisbon subregion and it has an airport for general aviation serving the Lisbon Region in Tires, the Cascais Aerodrome, that offers domestic scheduled flights by Aero VIP. 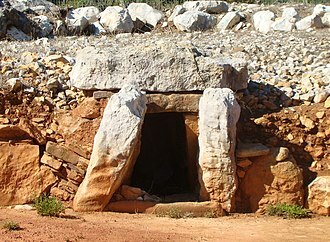 It was during the Neolithic that permanent settlements were established in the region, their inhabitants utilizing the natural grottoes, the bodies were buried along with offerings, a practice that continued to the Chalcolithic. 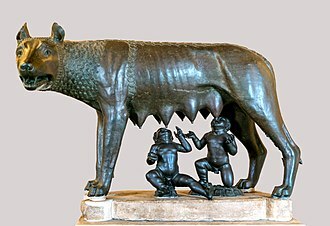 Roman dominion over the territory influenced place names in the region, as was the case with the word Caparide, the development of Cascais began in earnest in the 12th century, when it was administratively subordinate to the town of Sintra, located to the north. In its humble beginnings, Cascais depended on the products of the sea and land, during the 14th century, the population spread outside the walls of its fortress castle. The settlements prosperity led to its independence from Sintra in 1364. On 7 June 1364, the people of Cascais obtained from King Peter I the elevation of the village to the status of town, necessitating the appointment of local judges and administrators. The townspeople were consequently obligated to pay the Crown 200 pounds of gold annually, owing to the regions wealth, these obligations were easily satisfied. The castle of Cascais was likely constructed during this period, since by 1370, King Ferdinand had donated the castle and these privileges were passed on to his successors, among them João das Regras and the Counts of Monsanto, and the Marquess of Cascais. Meanwhile, despite its conquest and sack by Castilian forces in 1373, by the end of the 14th century this resulted in the creation of the parishes of Santa Maria de Cascais, São Vicente de Alcabideche and São Domingos de Rana. Princess Beatrice of the United Kingdom, VA CI GCVO GBE RRC GCStJ was the fifth daughter and youngest child of Queen Victoria and Prince Albert. King Felipe VI of Spain is her great-great-grandson, Beatrice was the last of Queen Victorias children to die,65 years after the first, her sister Alice. 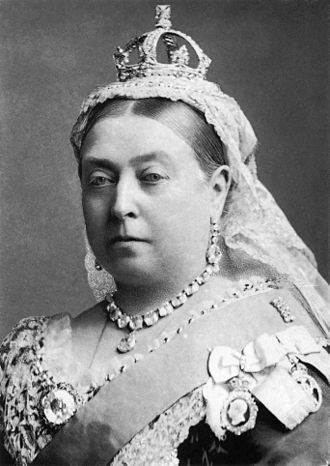 Beatrices childhood coincided with Queen Victorias grief following the death of her husband Albert, as her elder sisters married and left their mother, Queen Victoria came to rely on the company of her youngest daughter, whom she called Baby for most of her childhood. Beatrice was brought up to stay with her mother always and she resigned herself to her fate. Queen Victoria was so set against her youngest daughter marrying that she refused to discuss the possibility and she was attracted to the Prince Imperial and there was talk of a possible marriage, but he was killed in the Anglo-Zulu War in 1879. 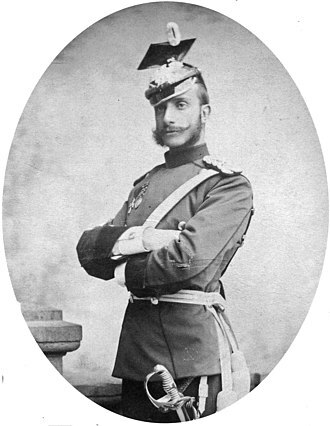 Beatrice fell in love with Prince Henry of Battenberg, the son of Prince Alexander of Hesse and by Rhine and Julia von Hauke and brother-in-law of her niece Princess Victoria of Hesse and by Rhine. Queen Victoria consented on condition that Beatrice and Henry make their home with her, the Prince and Princess had four children, but 10 years into their marriage, on 20 January 1896, Prince Henry died of malaria while fighting in the Anglo-Asante War. 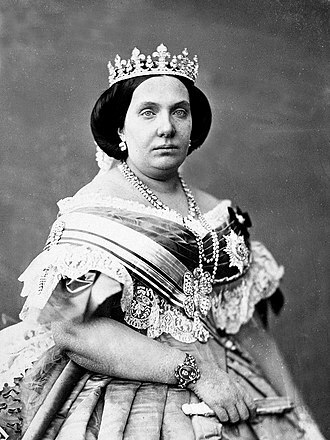 Beatrice remained at her mothers side until Queen Victoria died on 22 January 1901, Beatrice devoted the next 30 years to editing Queen Victorias journals as her designated literary executor and continued to make public appearances. She died at 87, outliving all her siblings, two of her children, and several nieces and nephews including George V and Wilhelm II, Beatrice was born at Buckingham Palace. 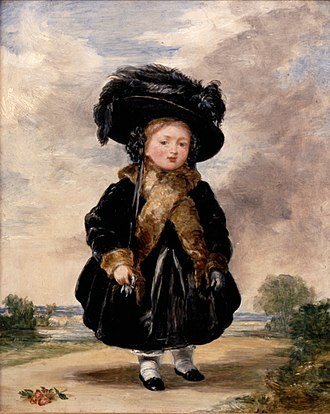 She was the daughter and youngest of the nine children of the reigning British monarch, Queen Victoria. 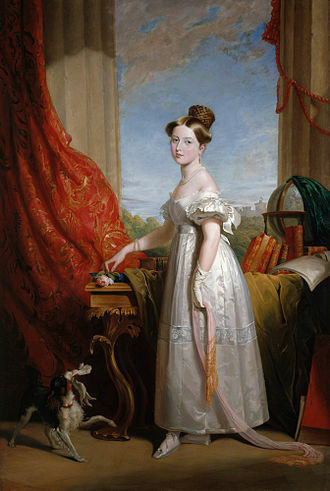 The birth caused controversy when it was announced that Queen Victoria would seek relief from the pains of delivery through the use of chloroform administered by Dr John Snow, chloroform was considered dangerous to mother and child and was frowned upon by the Church of England and the medical authorities. Coast view of Cascais, Portugal. Praia da Rainha (Queen's Beach), a beach in the centre of Cascais. The Duchess of Orléans holding her son, Philippe, Count of Paris. Portrait by Franz Xaver Winterhalter, 1839. Château de Versailles. Monserrate Palace in Sintra, noted for its beauty in Lord Byron's Childe Harold's Pilgrimage during his grand tour through the Portuguese Riviera. Sintra, a UNESCO World Heritage landscape, is famed for its numerous historic estates, including the Palace of Setais (top), the Casa dos Penedos (middle), and the Palácio Valenças (bottom). An advertisement for Estoril and its amenities; first half of the 20th century.